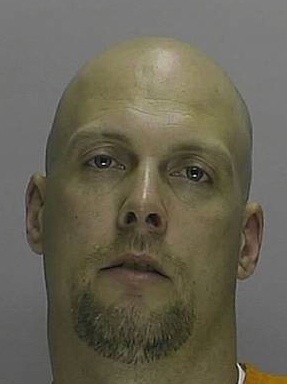 Camden County Prosecutor Mary Eva Colalillo and Berlin Township Police Chief Leonard Check are seeking the public’s assistance in finding a man believed to be responsible for the killing of a Berlin Township woman. Michael Eitel, 45, of Berlin Township, is charged with first-degree murder in the death of 39-year-old Carol Bowne. Berlin Township Police were dispatched at 10:17 p.m. on Wednesday to Bowne’s residence on the 100 block of Patton Avenue for 911 calls about an assault. Officers arrived and found the victim lying in the driveway outside her home. She was suffering from multiple stab wounds. Bowne was transported to Virtua Hospital in Berlin. She succumbed to her injuries and was pronounced dead at 11:22 p.m. The suspect is the ex-boyfriend of Bowne. She had an active restraining order against him. A warrant for Eitel’s arrest was issued today. He is being sought by a U.S. Marshals Service Task Force. Anyone with information about the whereabouts of Eitel is urged to contact 911 immediately. A photo of the suspect is posted below. Those with additional information about the case are asked to contact Camden County Prosecutor’s Office Detective Frank Simpson at (856) 365-3114 or Berlin Township Police Lt. Tony McVeigh at (856) 767-5878. Released Thursday, June 4, 2015.